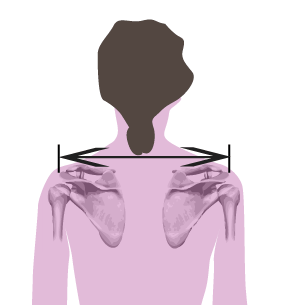 To determine the correct width of a set of handlebars, a measurement is taken from the acromion of one scapula to the other. The acromion is the bony ledge at the attachment of your arm to your shoulder. 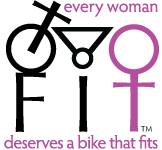 Reach is the distance from the tops of the bars to the most forward portion of the bend and is a measurement of particular interest to women who feel too stretched out when grabbing their brakes. 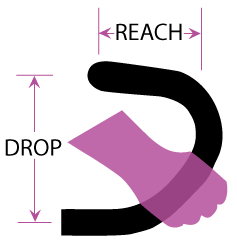 Drop is the distance from the top of the handlebars to the bottom (usually measured center to center) and when too deep, maneuvering to reposition from hoods to drops can feel unsafe. 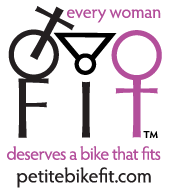 Note: weight is based on the width size listed in parenthesis.